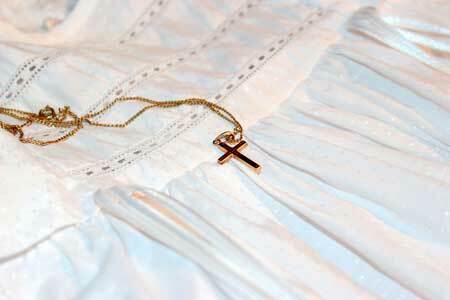 Daisy's preservation service includes christening gowns, wedding gowns, first communion suits and dresses as well as antique family heirlooms from shoes to baseball uniforms! Jim Desjardins has 32 years of service in the fabricare industry. He has the skills needed to handle almost anything... and the common sense to know when to say "no" or "stop". 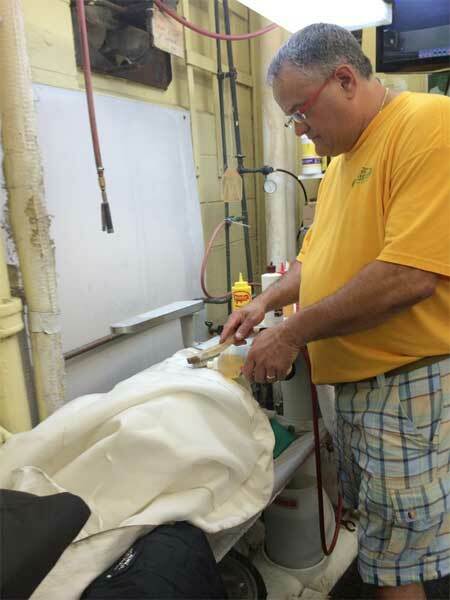 In his own words “Nothing makes me happier than taking a gown that is totally not wearable and making it look like new.” By utilizing years of training and experience Jim puts his knowledge of bleaches to work. Most folks think there is one type of bleach, chlorine bleach such as “Clorox” but there are many types of bleaches that are much gentler on fabrics such as sodium percarbonate and sodium perborate. 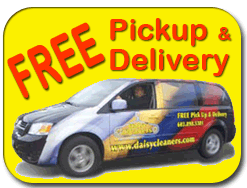 These bleaches along with special German wet cleaning chemistry and equipment allows us to restore most gowns to 95% new. 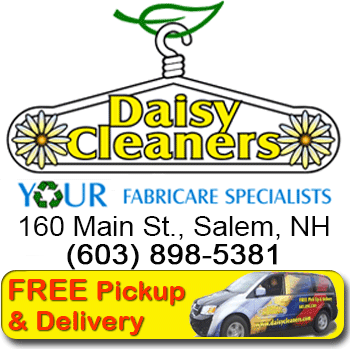 If the gown is to be preserved, Daisy (unlike most cleaners) invites you to come and inspect the gown prior to packaging. Daisy uses museum archival quality boxes which have a 200 year life expectancy (when stored properly). These boxes are acid neutral along with the tissue used to stuff the gown. The gown is placed in an unbleached muslin bag which protects the box from dust as well as allowing the gown to breathe. During storage it is recommended to keep your gown in a cool dry place away from animals and children. A dry basement or under a bed is best. Attics are typically not a good place as the temperature typically can reach over 100 degrees.